JML Casual Home opened in 2000 as a small lifestyle home furnishings store, offering design services in Falmouth, Maine. Sixteen years later, Joanne works from her South Portland design studio to furnish homes throughout Maine, Massachusetts, New Hampshire, Connecticut, California, Virginia and Puerto Rico. Her goal is to create warm, comfortable, and casual living spaces that reflect each client’s unique lifestyle, taste and budget. Prior to opening JML Casual Home, Joanne designed products for the home furnishings catalog industry and retail stores for more than 20 years. 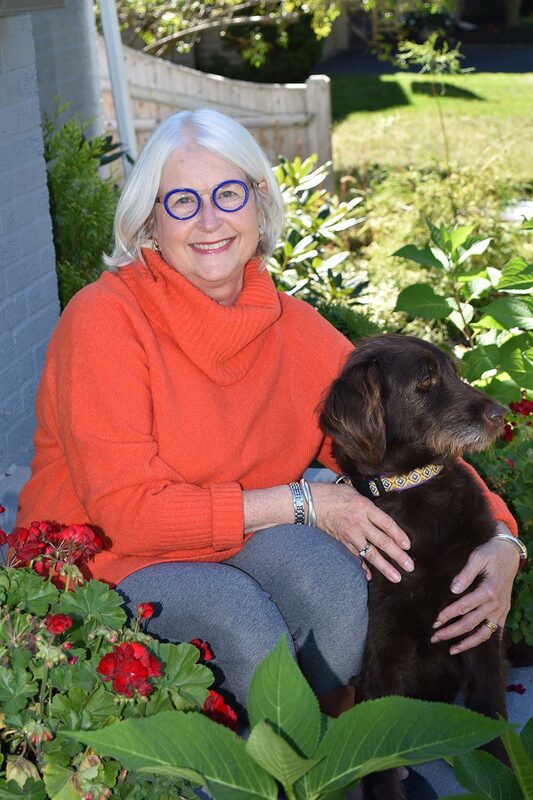 Her experiences traveling to international shows and touring factories for L.L.Bean, Cuddledown of Maine, and GH Bass bring a unique expertise for quality, comfort and function in the design and furnishings for your home. Joanne’s commitment to volunteer service reflects her compassion and dedication to community. At the Cedars Retirement Community in Portland, Joanne volunteered with the residents, was president of the Auxiliary and has been a board member. Joanne was a design consultant for the Cedar’s Osher Inn Assisted Living Center. She was a design consultant for the first LEED Certified Habitat for Humanity home in Maine. For the past 12 years she has volunteered at the Center for Grieving Children in Portland. When she is not at work, Joanne can be found in the garden or playing with her best pal Yoshi.